My trip to Liverpool was interesting. It was my first time to the area. I saw the place where the Beatles began. 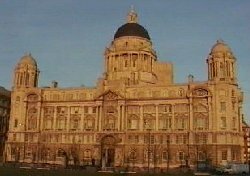 There are several buildings in Liverpool with Georgian architecture. 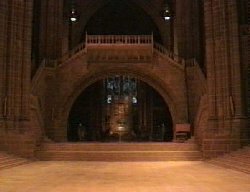 The Anglican Cathedral reminded me of Washington Cathedral in Washington D.C. It was immense with several chapels attached to the main sanctuary. 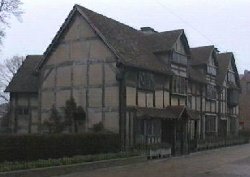 Stratford-upon-Avon is most famous for one of its writers: William Shakespeare. 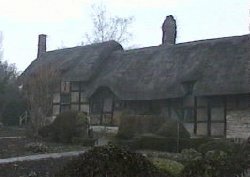 It was interesting to see the houses where Shakespeare lived, and Anne Hathaway's cottage. The church where Shakespeare is buried is a rather typical Anglican structure, but with some very famous bones inside. The day I was there a funeral was just ending. The large bell tower rang a lone bell every 10 seconds or so. 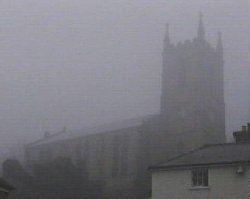 It provided a very somber atmosphere as I was standing outside in the foggy church yard among the tomb stones, waiting for the funeral to end. "For whom does the bell toll?" suddenly had a totally new meaning.